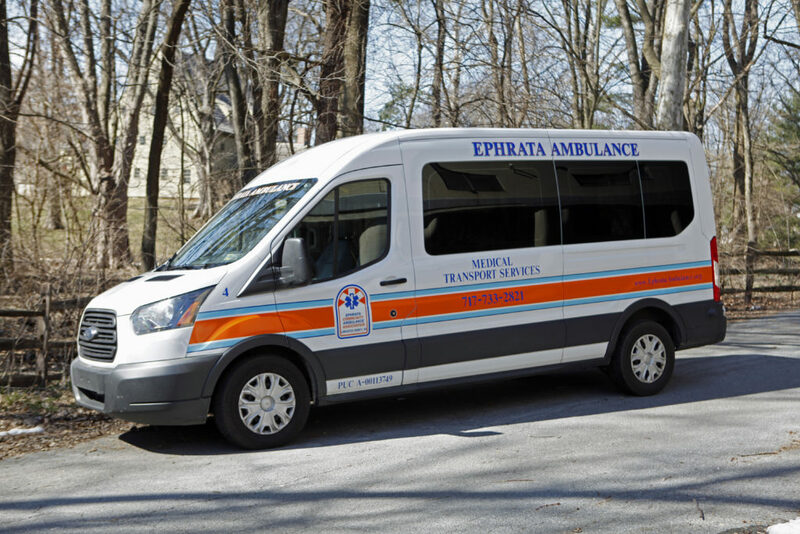 2015 Ford Van #4 - Ephrata Community Ambulance Association, Inc. This 2015 Ford Transit van was manufactured by Mobility Works from Akron, Ohio. This vehicle has been driven more than 29,740 miles. It is used for wheelchair transports and invalid coach transports (litters) of non-emergency patients. This is a rear loading vehicle for litter transports and a side loading vehicle for wheelchair transports. It is P.U.C. licensed.